Dang, I don’t know why it’s taken me so long to write this review, I really like this record. Maybe subconsciously I want to keep it in my rotation and I know once it’s written it’s removed. Who knows? At any rate, this is a beautiful album. 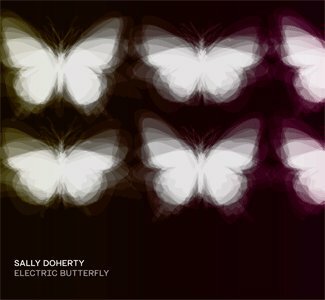 I know I’ve reviewed Sally Doherty and her bands in the past and so has Anna Maria. But these songs have caught my ear more than just a few times while this album was shuffling in my review rotation. There’s also a techno-y sound going on here. I guess it’s bordering on ambient. Autumn is particularly lovely. Her voice is so comforting. It’s kind of a slow dance song. You’re Falling is a stand out to me. Probably likely my favorite track here. Though it’s hard to pick since the whole album is one big gem. Oporto Dawn is also a wonderful sweeping landscape of a song. It’s going in my personal rotation, when I’ll ever get to listen to that playlist is a mystery, but it’s there, waiting for me! 11. Where have you gone to? Really good record this. I need to listen to it more.